On my journey of self discovery, I’ve come across some many articles that say “eat this, not that”. I want to be live a long life full of great health, happiness and wisdom. There is always room for improvement. After finding out I had hypothyroidism 15 years ago. It’s been on a never ending battle to feel normal again. What is normal, you ask? Well, we all have what we consider to be our own “normal”. What’s normal for me , might not be normal for you. My main goal is to eat to cater to my body. It can be overwhelming and mind boggling to figure out exactly what I should be eating. So I start with the basic’s. My hypothyroidism. Next, whatever else is bothering me. I listen to my body. Right now, the 2nd thing that I am concentrating on is anxiety. Anxiety can be a symptom from hypothyroidism. Along with dry skin, hair loss, weight gain, unable to lose weight, heart palpitation’s, depression, memory problems, frequent constipation, high cholesterol, changes in your menstrual cycle, sensitivity to cold, Muscle cramps and aches, slurred speech, jaundice, decreased libido, dry hair, knot in throat, & tightness in your throat. You don’t have to encounter every one of these symptoms to be diagnosed with hypothyroidism. Everybody’s experience with the disorder is different. While you may notice that your skin and hair have become dry and rough, someone else might be plagued more by fatigue , depression or anxiety. So I’ve been reading The Mood Cure and The Anti-anxiety Food Solution writing down notes, crossing comparing notes of foods that will cater to bringing my anxiety down. I’ve always believed that you are what you eat and food is the key to our good health. think of your body like a car engine. You have to put the right fluids in it to get it run properly. Feed it the right things or it will break down eventually or refuse to run all together! While reading The Anti-Anxiety book I came across many interesting things. It’s full of awesome information. Gut damage, food intolerances and nutrient deficiencies play a key role in many of our problems. We can’t expect to feed our bodies processed , sugar loaded, fake foods, artificial crap and expect it to be okay with it. So, this is what I’ve learned and how to cater to my anxiety while fighting hypothyroidism. This should already go without saying since we have hypothyroidism. We should be eating gluten free. Having hypothyroidism it makes us more sensitive to gluten. Some of us have gluten intolerances and don’t even know it. key thing is to listen to your body. Avoid junk food, refined sugar, all of the white foods ( white flour, white rice, white bread and so on) processed foods, soda’s, sugary beverages and alcohol. We must keep our blood sugar stabilized. Try to always eat organic (pesticide free), non-genetically modified, whole-foods. If you cannot afford organic there is a list here of fruit and vegetables that retain pesticides but it does not include berries particularly blueberries which are high on the list). 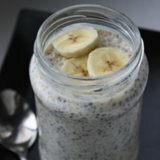 Are you eating enough protein? Don’t immediately think of meat when I say this. Plants can give you plenty of your protein needs along with adding a scoop of Raw Meal to your smoothies. You should always take your thyroid medication with lemon water and then eat after 1 hour of waking. Gluten free oatbran with coconut oil ( good fat) , Ceylon cinnamon ( heart health, blood sugar, anti inflammatory, cancer fighter) , flaxseed ( Good fat and fiber) , smashed banana ( potassium) . Along with 1 cage free boiled egg( protein) . or you can make your self a smoothie! 1 cup organic Romaine lettuce,1/2 organic cucumber peeled, 1 diced whole organic apple with peeling, 1 organic celery stalk, 1 cup of filtered water, Add a scoop of Raw Meal. I’ve read so many articles that have stated your stomach is your 2nd brain. You are what you eat! Having bad guy flora can contribute to anxiety and a whole list of health problems. The digestive system actually has it own nervous system and over 95 % of serotonin is made in the guy. Having a sluggish thyroid can contribute to constipation, food allergies can contribute to digestive distress, which can cause you to have low zinc, low magnesium and adrenal fatigue. Add more high fiber whole foods to your salads like zucchini, celery and carrots. Mushrooms and cucumbers are excellent choices too. Add a simple vinaigrette. Evoo & balsamic vinegar , Evoo & organic apple cider vinegar. Here is more information on ways to get more digestive enzymes. Click on this link to this article. The Truth About Digestive Enzymes. Exercising raises Gaba levels ( the brains natural valium) . GABA is a calming inhibitory neurotransmitter, it’s like the brains natural endogenous Valium. GABA enables your brain to put an end to persistent worrying thoughts going around and around in your mind. We believe the neurotransmitters GABA and serotonin enable the brain to calm and control anxious thoughts, so when they are deficient it can make it almost impossible to stop worrying thoughts dominating and overwhelming our mind and turn into anxiety, even “normal” everyday worries or concerns can ruminate, escalate and cause terrible stress. Eat Grass fed meats, pastured poultry, wild fish, cage free eggs, whole organic fruits and veggies, flax seed oil, avocado’s ( good fats) pumpkin seeds, organic apple cider vinegar, lemons, mushrooms, garlic, coconut oil, zucchini, celery, more fiber, brown rice and quinoa. Eat 2 snacks and 3 meals a day. Make sure you getting plenty of vitamins. Drink plenty of water! You should take you body weight & divide it by 2, that is how many ounces you are to drink per day. I also drink 2 tablespoons of braggs organic apple cider vinegar per day. Stay away from sugar, dairy ( until you know if you can tolerate it) , all gluten, no white foods, no processed foods, artificial colors and addictive’s. 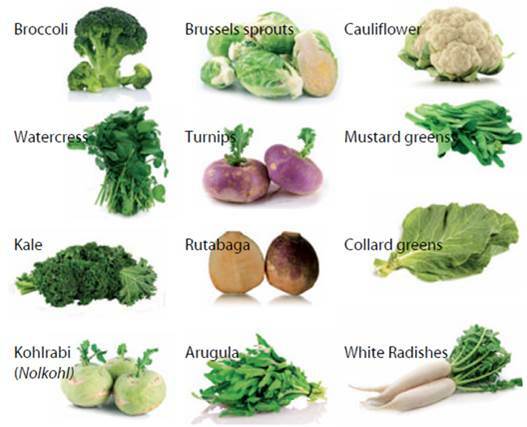 Having Hypothyroidism you are to limit raw Cruciferous vegetables intake it can hinder the absorption of your medication. Read more here about it. Please do eat your cancer fighting cooked veggies. Are you still confused about what to eat? Maybe you shouldn’t think about what your not eating and focus on what you can. Having hypothyroidism and anxiety isn’t a curse it’s a chance to become better from the inside out. Here is a sample menu of what my day looks like. Don’t forget to keep a food log! 4oo – 4:30 exercise rebounder ( when your adrenals are low you shouldn’t exercise more than 45 minutes due to your already high cortisol levels in your body) Click on these links to find out more about that. Gluten free oat bran because- it’s gluten free, high in protein , high in soluble fiber. It’s high in vitamin B and has iron. This is a stick to your guy breakfast. Smoothie- 1 cup organic Romaine lettuce,1/2 organic cucumber peeled, 1 diced whole organic apple with peeling, 1 organic celery stalk, 1 cup of filtered water, Add a scoop of Raw Meal and I also add a teaspoon of dulse flakes a few times a week. Having Hypothyroidism makes you have very low iodine. Dulse flakes is an excellent way to boost your iodine naturally thru foods. At lunch I also take what my body needs in vitamins, although it might seem like a lot to some, it is what my needs right now. Epsom salt foot soak ( magnesium) I don’t do this everyday but a few times per week. If you have high blood pressure this isn’t a good option for you. It can raise your BP. Want more tips and information on Hypothyroidism/anxiety food fighting recipes and suggestions? Keep an eye for my latest E Book that will be able to download by your finger tips soon! 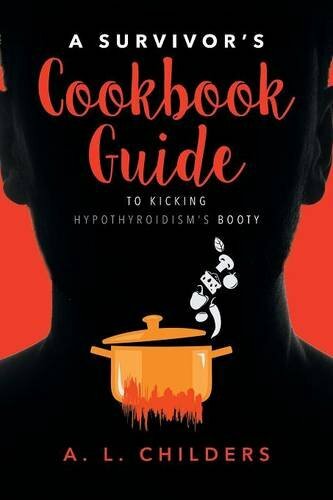 The Kicking hypothyroidism’s booty ( Anti-anxiety style) I am still working on the title but the book is in motion. Here is a breathing exercise video that does work By Dr. Pratt. Please LIKE and Share this and post your comments below! This entry was posted in Uncategorized and tagged #antianxietyfoods, #anxiety, #glutenfree, #hypothyroidism, #organic, #pesticidefoods, blood glucose levels, health benefits, Heart health, lowering blood pressure on January 4, 2016 by thehypothyroidismchick. Do you suffer from hypothyroidism brain fog? Do you walk into a room and forget why you walked in there? Do you have to write yourself a honey do list? Many things can cause brain fog like stress, pregnancy, no sleep, illness, brain tumors, alcohol, head trauma, Vitamin B-12 deficiency, menopause and even medications. Many studies have proven that an underactive thyroid can be damaging to your mental health. This happens to me quite often and frankly its aggravating, very frustrating, and makes me take my worrying to the next level thinking, ” Can it be early signs of dementia or Alzheimer’s disease?” Don’t fret you can do things to help your memory. Sleep is critical to learning and memory in an even more fundamental way. Research shows that sleep is necessary for memory consolidation, with the key memory-enhancing activity occurring during the deepest stages of sleep. 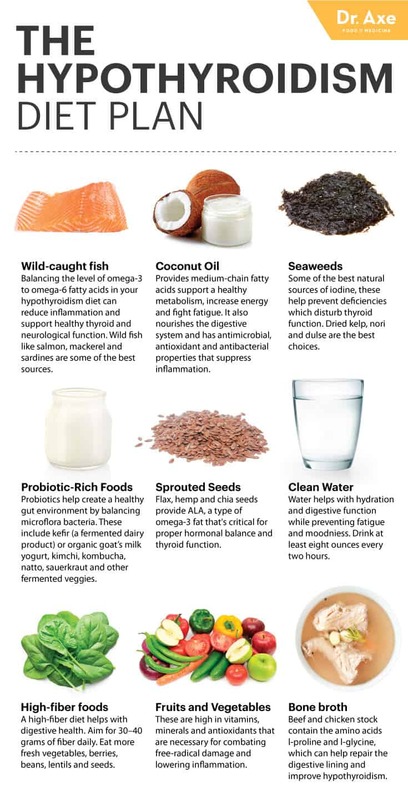 If you’re not a fan of seafood, consider non-fish sources of omega-3s such as walnuts, ground flaxseed, flaxseed oil, winter squash, kidney and pinto beans, spinach, broccoli and pumpkin seeds . If memory lapses are bothering you, talk with your doctor to make sure its not a underlying “other” medical condition. Getting to the root cause is the smartest thing you can do it could be an easy fix like getting more sleep, switching a medication, or taking a stress reduction class to get your memory back on track. This entry was posted in Uncategorized and tagged #brainfog, #curry, #dirtydozen, #glutenfree, #hypothyroidism, #organic, blood glucose levels, Blood pressure, health benefits, Heart health, lowering blood pressure on December 1, 2015 by thehypothyroidismchick.